The Loanhead of Daviot Stone Circle stone circle stands just off a minor road a short distance north of Daviot in Aberdeenshire. Its uphill location offers broad views to the north and east, while a belt of trees offers protection from the prevailing westerly wind. 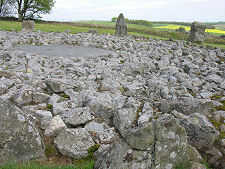 The north east of Scotland is rich in stone circles, with 99 having been definitely or probably identified in the area. 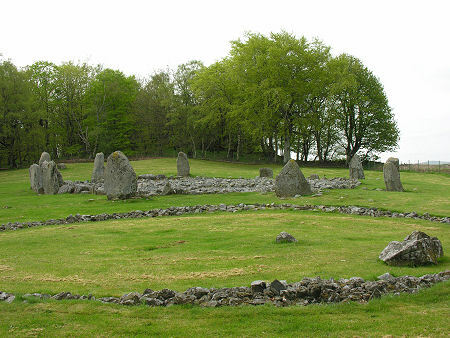 Almost all of them are "recumbent" stone circles, in which the focus is formed by a large horizontal stone flanked by two upright stones. They were constructed over 4,000 years ago by farming communities, and served as lunar calendars, showing the passing seasons by the way the parts of the circle framed the moon. 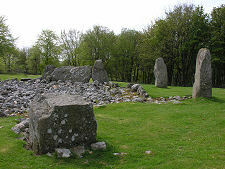 The recumbent stone circle at Loanhead of Daviot originally comprised 10 stones as well as the recumbent and flankers. 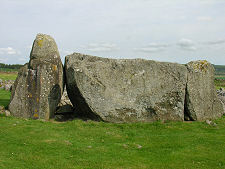 It has a circumference of 20.5m and the size of the stones is graded around the circle, ranging from the 20 tonne recumbent to smaller stones on the opposite side. 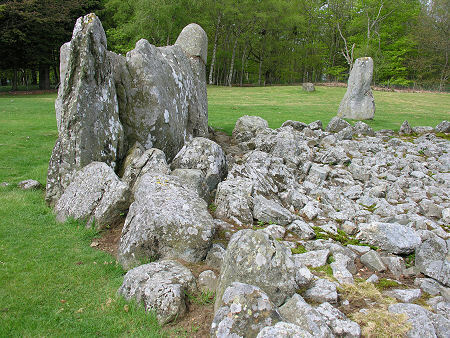 As often happened with stone circles, this one seems to have stopped being used for its original purpose by the middle of the second millennium BC. Instead, the residents of the area, who presumably venerated what must have seemed amazing structures bequeathed to them by their distant ancestors, used the interior of the circle to bury the cremated remains of their dead. Immediately to the south of the main stone circle is a lower circle uncovered during excavations in the 1930s. 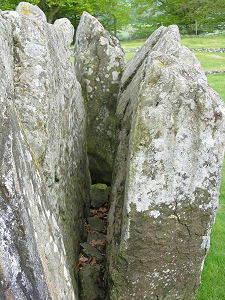 This seems to have been used by the later residents of the area, in the years around 1500BC as a cremation cemetery. 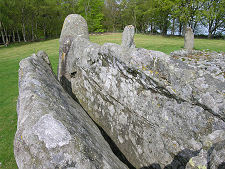 Perhaps the most unusual feature of the stone circle is the way the recumbent stone is actually two stones divided by a vertical cleft running their full length. It is tempting to wonder whether this was intended to serve as some sort of fertility symbol: and almost disappointing to read that when the circle was constructed there was only a single recumbent. It has since been split by the action of frost.